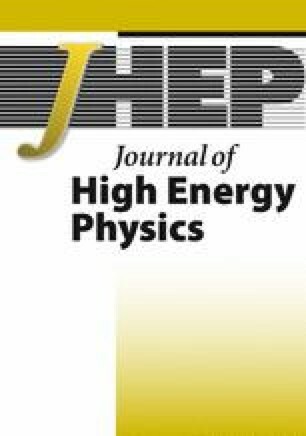 A search is presented for physics beyond the standard model (SM) in final states with opposite-sign isolated lepton pairs accompanied by hadronic jets and missing transverse energy. The search is performed using LHC data recorded with the CMS detector, corresponding to an integrated luminosity of 34 pb−1. No evidence for an event yield beyond SM expectations is found. An upper limit on the non-SM contribution to the signal region is deduced from the results. This limit is interpreted in the context of the constrained minimal supersymmetric model. Additional information is provided to allow testing the exclusion of specific models of physics beyond the SM. CMS collaboration, R. Adolphi et al., The CMS experiment at the CERN LHC, 2008 JINST 3 S08004 [SPIRES]. H. Baer, TASI 2008 lectures on Collider Signals II: missing E T signatures and the dark matter connection, arXiv:0901.4732 [SPIRES]. S.P. Martin, A Supersymmetry Primer, hep-ph/9709356 [SPIRES]. D0 collaboration, I. Bertram et al., A Recipe for the construction of confidence limits, FERMILAB-TM-2104 [SPIRES].